This massage oil is imported from Thailand – its one of the industry standards in massage oil, and is widely used in Thailand. This oil can be used to help relieve dizziness, faintness, muscular aches & pains, sprains & lesions, insect bites, rashes & air or sea sickness. A good addition to any travelers “sick kit”! 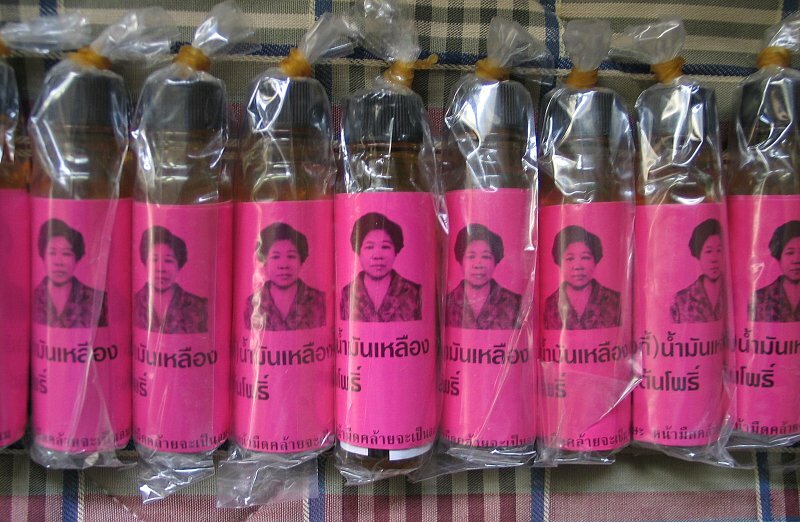 Oil manufactured in Trat, Thailand. Miracle (yellow oil) is only for external use. Do not put it in your eyes, or ears, or swallow it. Store this oil at room temperature and protect it from the heat and sunlight.